LOS ANGELES, CA – September 19, 2012 – The Keck School of Medicine of the University of Southern California (USC) and the University Kidney Research Organization (UKRO), a Los Angeles-based non-profit group that supports medical research concerning the causes, improved treatments for, and the prevention of kidney disease, announced today that they have joined together to establish the USC/UKRO Kidney Research Center at the Keck School of Medicine of USC. The announcement was made by Carmen A. Puliafito, M.D., M.B.A., dean of the Keck School of Medicine of USC, and UKRO President Kenneth Kleinberg. 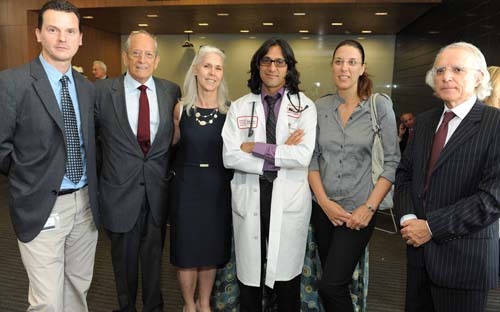 UKRO made an initial $3.5 million pledge to support the establishment of the center, which will conduct both basic and applied research programs at USC with the goal of becoming a premier national kidney research center. 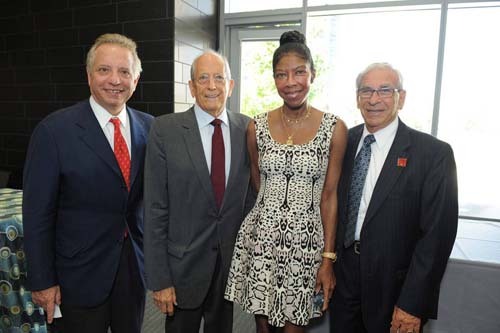 Singer and UKRO board member Natalie Cole expressed her enthusiasm for the USC/UKRO partnership at a reception announcing the center. The center will be operated under the auspices of the Keck School of Medicine’s nephrology division, chaired by Vito M. Campese, M.D., professor of medicine, who also chairs UKRO’s Medical Scientific Advisory Board, and has been instrumental in the planning of the USC/UKRO Kidney Research Center. An estimated 26 million people in the United States alone are believed to suffer from chronic kidney disease and millions of others are at increased risk, according to the National Kidney Foundation. Approximately 8 percent of the 2011 Medicare budget of $759 billion, or $57 billion, was spent on treating kidney disease, and Medicaid programs across America are expending an additional $1.6 to $2.0 billion per year. Kleinberg thanked Dean Puliafito and the faculty and staff of the Keck School of Medicine, especially Drs. Crandall and Campese for their vision and dedication to the establishment of the KRC, as well as members of UKRO’s board of directors and medical and scientific advisors for their role in establishing the new center. 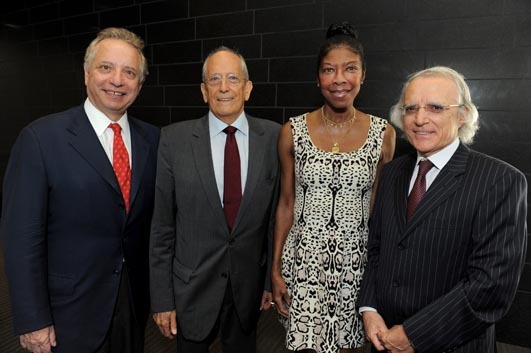 The UKRO gift – the largest the organization has pledged to USC – adds to the $366 million that has been raised by the Keck School of Medicine of USC as part of the ambitious Campaign for the University of Southern California. The campaign, the largest active campaign in higher education, was launched in 2011 with the goal of securing $6 billion or more in private support over several years from individual donors, foundations, and corporations. Twenty-five percent of the total campaign will be raised for the Keck School of Medicine. For more information about the Campaign, visit campaign.usc.edu/campaign/. The Keck School of Medicine of USC is among the nation’s leaders in innovative clinical care, research, and education. Located on the university’s 31-acre Health Sciences campus three miles northeast of downtown Los Angeles, the Keck School is adjacent to the Los Angeles County+USC Medical Center, one of the largest teaching hospitals in the United States. The school’s faculty and residents serve more than 1 million patients each year at Keck Hospital of USC, USC Norris Cancer Hospital, Children’s Hospital Los Angeles, LAC+USC Medical Center and additional USC-affiliated hospitals throughout Southern California. The Keck School of Medicine houses several research institutes, including the USC Norris Comprehensive Cancer Center, the Zilkha Neurogenetic Institute, the Eli and Edythe Broad Center for Stem Cell Research and Regenerative Medicine at USC, the USC Cardiovascular Thoracic Institute, and the USC Institute for Global Health. Established in 1885, the Keck School is the oldest medical school in Southern California.